It’s Thursday morning around 4 AM. I’m sitting on the couch in my living room. My youngest son has a headache and a fever of 104.6. My husband is rocking him in the recliner. I have administered Tylenol and placed a cold pack on his forehead. We have been fighting this fever since the early evening. The advice nurse told me everything is fine as long as it stays below 105 degrees. I’m worried – not really worried, but still worried. Life takes detours; one moment changes everything. What comes next remains unknowable. You hear stories all the time. It’s Thursday morning around 10 AM. My son’s fever is down, not gone, but back to around 100. He’s feeling better and acting more like himself. It’s absolutely gorgeous outside, an anomalous warm and sunny day for our coastal Northern California town. I step out on the deck and feel the warmth rise up from the sun-heated boards. There’s not a hint of cold, even the icy sea breeze that often threads itself through the usual spring-like temperatures of our climate is still. Summer! Still in his pajamas, he follows me across the deck to the weather-beaten settee and sits on my lap. Instinctively we both close our eyes and turn our faces towards the light. He lays his head on my shoulder. I have not felt this content in days. 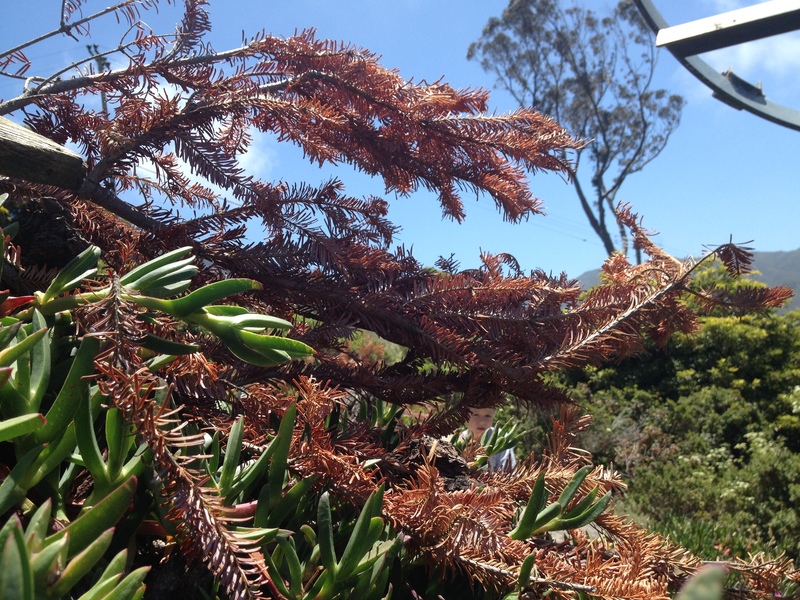 Debora Iyall Group, Shot in the Dark in Pacifica, CA – June20th! 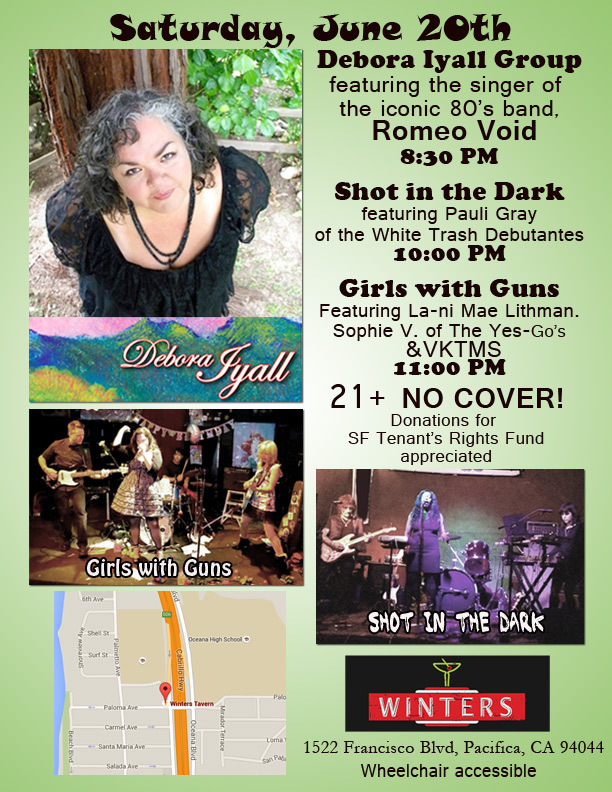 If you are in the San Francisco Bay Area and a fan of Romeo Void you should come out to Winter’s Tavern on June 20th to watch the incomparable Debora Iyall perform Romeo Void tunes as well as her beautiful solo work and a couple of surprise covers. Also on the bill will be Shot in the Dark, my electro glam trio featuring Sunni McGarity on vocals and Falling Pauli Gray on guitar. Girls with Guns finish up the night with super girl powered punk rock. It’s a night of fierce female energy and firearms. Don’t miss it!